FIFA 17 is the first game of EA Sports that uses Frostbite Engine. Game that was released since September 2016 and then is enough to get satisfactory results. FIFA 17 is also released into various platforms such as Xbox 360, PS3, PS4, Xbox One and Windows PC (via Origin). This is new FIFA 17 Mod from IMStudio, it includes some latest updates of 2018/2019 Season. 220 clubs new banners and flags! More than 410 new players,more than 13000 players updated skills(FIFA 19 update),,shoes,faces and 16 500 minifaces! 1. 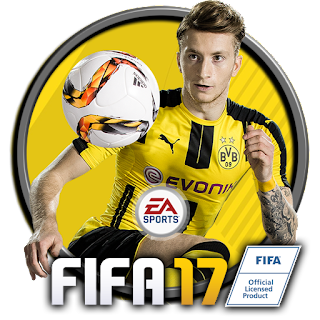 It is recommended that you use a clean install of FIFA 17 for this patch. 2. FrostyModManager by GalaxyMan2015 is necessary to run this patch. You can download it here. 3. Put the files inside “Patch Files” folder in “Mods” folder inside “FrostyModManager_v1.0.3alpha” folder. 4. Run FrostyModManager and select your FIFA 17.exe inside your installation folder. 5. Double click on FIFA Infinity logo in “Available Mods” list to activate the FIP17 V3 mod. 6. Enable Offline Mode in Origin and run FIFA 17 by clicking the “Launch” button of the tool. When I apply the mod in Frosty Mod Manager, then launch the game using the button in Frosty Mod Manager, then FIFA 17 starts, and shows up as a process in task manager, but the game doesn't start. No loading screen, no splash screen, nothing. It just shows up in task manager but doesn't do anything. Do anyone know what the problem could be? I have implemented the mod on FIFA 17 through the Frosty Manager application. After that when I ran FIFA 17 through the Frosty Manager application, FIFA 17 was not open at all and no new windows were opened, even though I saw in the FIFA 17 task manager it was running, how to fix this problem?